Rolling release operating systems are really cool, because they are constantly being updated. This can ensure that the user is kept up-to-date without effort. Why is that good? Well, vulnerabilities are patched quickly, while the latest and greatest features of popular programs are regularly introduced. Of course, there is a potential downside too -- it could introduce bugs that could lead to instability. Ultimately, the user must decide if as rolling release best meets their needs. One of the best such operating systems is Netrunner Rolling. I love this Arch/Manjaro-based operating system for several reasons, but mostly for its elegant implementation of the KDE Plasma desktop environment. It is themed beautifully, providing a smooth user interface that is familiar to those switching from Windows. Not to mention, it comes pre-loaded with many excellent packages, making it a great "out of the box" Linux experience for newbies. Just in time for Easter, Netrunner Rolling 2019.04 becomes available for download -- the first ISO refresh since August of last year. That people are lazy is not news. Ditto the fact that people like to make things as easy for themselves as possible. These two facts do not work well when it comes to security and passwords, as a new study reveals. Analysis carried out by the UK's National Cyber Security Centre (NCSC) found that huge numbers of people are still -- despite continued advice -- using weak, easy-to-guess passwords to secure their accounts. The most commonly used password on breached accounts was found to be 123456, and there were plenty of others that were similarly insecure. The NCSC, in conjunction with Have I Been Pwned's Troy Hunt, has also published a list of the 100,000 most common passwords globally. 2005Does Open Source = Closed Mind? In what will come as something of a disappointment to many, Microsoft seems to have decided to abandon the Sets feature of Windows 10. This highly-anticipated feature was to bring tabs to apps, making it easier to work with multiple instances of the same program. In the middle of last year, though, Microsoft removed Sets from Insider builds of Windows 10, promising that the feature would return in a future build. 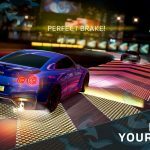 But a tweet from senior program manager Rich Turner suggests that Sets is no more... although that might not mean that app tabs are completely off the agenda. 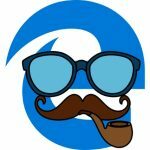 It has been noted that Edge switches between user agents depending on the sites visited, effectively pretending to be a different web browser. This enables Edge to take advantage of web sites features designed for a specific browser. 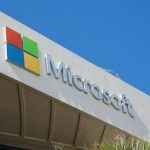 If you're thinking of learning a programming language, there are certainly plenty to choose from -- and Microsoft has just added a new one for you to consider. Inspired partly by TypeScript and partly by Node.js, Bosque is an open source language which tries to keep things simple. Microsoft says that one of the main aims with Bosque is to create code that is simple for both humans and machines to read, eliminating "accidental complexity". Google has released its latest version of Android Studio, the tool used by developers to create Android apps. 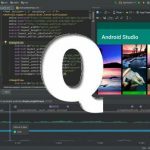 Android Studio 3.4 is now available on the stable channel and as well as hundreds of big fixes, there's also a new version of the Android Emulator complete with support for the Android Q beta. The tool is available for Windows, macOS and Linux. 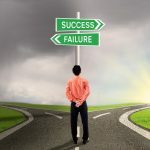 More than half of data-driven initiatives are failing in business, with 27 percent of failures due to a skills shortage according to new research from analytic database company Exasol. In the public sector, financial services and energy and utilities companies the failure rate rises to more than 60 percent. And in retail and financial services 40 percent blame skills shortages for failures. With its invasive advertising, scant regard for privacy, and often poor approach to security, Facebook has done little over the years to win itself many friends. But to help boost your list of friends, it is possible that Facebook may have uploaded your email contacts without your knowledge. The aim of this was to help find people you might know on the social network, but as there was little warning about the uploading of such private and sensitive information, there was an understandable backlash. If you're concerned about what Facebook has uploaded on your behalf, here's how to delete the contacts that may have been scraped from you. Three-hundred-and-thirty-one in a series. 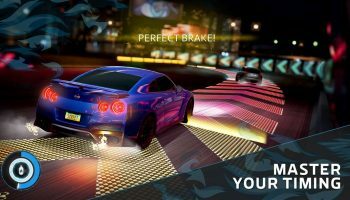 Welcome to this week's overview of the best apps, games and extensions released for Windows 10 on the Windows Store in the past seven days. The May 2019 Update for Windows 10 is still being tested. MSDN subscribers can get their hands on Windows 10 version 1903 builds already. 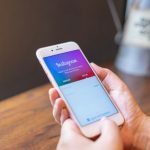 With no fanfare whatsoever, Facebook has revealed that it stored the passwords for millions of Instagram accounts in plain text. 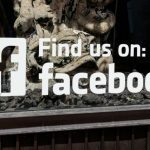 The news came as the company quietly updated a blog post from last month in which it revealed that it had stored hundreds of millions of unencrypted Facebook passwords on its servers. At the time, the company said "tens of thousands" of Instagram users were affected. Revising this figure upwards, Facebook says: "We now estimate that this issue impacted millions of Instagram users". 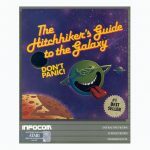 Growing up I loved playing text adventure games, and most of my favorites came from Infocom. I was lucky in later life to write about the famed adventure company and even got to meet and interview some of the greats behind the best games. If you’re a fan of interactive fiction and Infocom, the fantastic news is the source code for all of the company’s adventures have been uploaded to GitHub, making it possible for programmers to peruse and download the code, and even build upon it. TVs are available to buy in truly huge sizes these days, and with 4K (and upwards) resolution, movies and TV shows really come to life. But there’s something even more magical about watching a film projected onto a screen or a wall. With the right setup, it can be like having a cinema in your home. You don’t necessarily need to spend a fortune on a projector though. 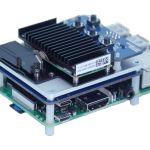 Nebra Anybeam can turn your Raspberry Pi into a cinema projector that you can slip into your pocket and take anywhere. Having been hit with a fine by antitrust regulators in Europe, Google has said that it will roll out new default search and browser choice options for Android users. The move is comparable to Microsoft's Browser Choice which was introduced following similar anti-competition complaints. 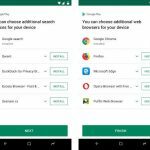 Starting today, European Android users will be presented with a screen that invites them to download alternative search apps and browsers. 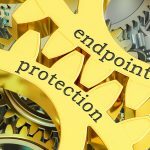 The endpoint is on the front line of the network security battle, but a new study from Absolute reveals that endpoint security tools and agents fail, reliably and predictably. The study analyzed data from six million devices and one billion change events over the course of a year. It finds the complexity of endpoint device controls creates a false sense of security among organizations while, in reality, causing security gaps and significant risks due to regular and reliable tool failure.